Dropshipping is a fulfillment method that’s becoming more popular — but it’s not just for large businesses. Thousands of people run successful online marketplaces that utilize it. Dropshipping method consist that the owner of the online store, do not need to store products or worry about shipping. You simply transfer orders to the dropshipping supplier who manages all inventory and logistics. In this article we will explain how to start a Dropshipping business by installing WooCommerce, AliDropship Woo plugins for Noor WordPress Theme. WooCommerce is a platform for building an online stores. It integrates with WordPress and works with it perfectly. Store owners benefit from high functionality and convenience of WooCommerce. 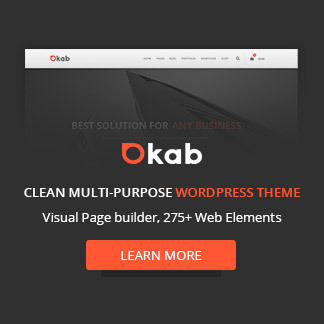 It’s a free plugin with additional features available as extensions. the plugin is made by Automatic, the corporate behind WordPress, so when you use it, you’re in good hands. You can automatically import many products directly from AliExpress in one click. You can also import all the product specifications, such as variations, attributes, descriptions, customer reviews, etc. You can easily edit product descriptions and add new texts and media. The plugin synchronizes with AliExpress and gets fresh data from the seller, updating your store information automatically, so you can always be sure that the product information in your store is up-to-d- ate. You can order from sellers automatically and you don’t have to enter all the data manually. As soon as you get an order from a customer, the plugin visits AliExpress and fills in all the order data automatically. To install the WooCommerce plugin, open your WordPress dashboard and select Plugins > Add New from the menu. Type WooCommerce by Automattic into Search, and then, when WooCommerce is displayed, click Install > Activate. WooCommerce will now be installed on your website and you will find a WooCommerce and Products menus has been added to your WordPress dashboard. Once you purchase the AliDropship Plugin, you will get a license key in your email, go to the update plugin page, select your desired details and download the plugin. Choose the file to upload, and click Install now. After successfully installing the plugin, the AliDropship Woo tab will appear in the sidebar menu within the WordPress dashboard. Then you will need to add your license key and click the Activate button to get started. The extension allows you to add products from AliExpress of your choice to your store. Click to the AliDropship icon on your browser and click it. It will show an option to add your website, insert your website in the field then click add button then you will be redirected to the authorization prompt. Click Authorize to connect both the plugin and the extension. Importing directly from AliExpress by choosing a category, selecting price, volume and seller’s ratings. By using import list feature, this method allow you to keep the products in a list where you can place them in different categories. If you want to import specific product, click the plugin logo that appear on the product to import it. You can also edit the item before adding it to your online store by clicking the edit button of the bar extension. Gallery Tab: In this tab you can choose the images that you want to import to your website and choose the featured image. Variation Tab: You can delete variations, add new attributes and variations. Once you finish editing the changes, click Publish or you can just add the new product to the import list if you don’t want this product to be visible to your visitors. Click on Import button from the top menu bar panel if you want to import all the items. Now check your online store the product has been imported successfully on your store. Using well designed theme to build your store is very important. 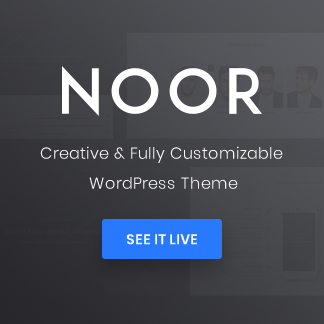 Noor is a versatile, responsive, high performing speed & SEO Optimized WordPress theme. and fully compatible with WooCommerce, and Alidropship plugin. The theme has an option that allow you to choose the style of product title width via Customize > Noor WooCommerce > Shop Page. For long title the price will be displayed bellow the title, for short title the price will be displayed next to the title. Building your Dropshipping store getting easier using AliDropship plugin which helps you to import products with just few clicks and by using Noor,a theme designed with them to build an outstanding store.